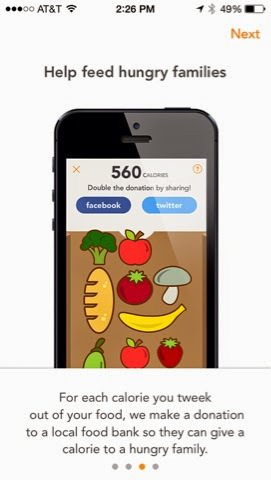 Hunger Action Month - Do Your Part By Using FoodTweeks #calories4good. September is Hunger Action Month. And it's astounding the number of people who are hungry. "1 in 6 Americans struggles with hunger." (source FeedingAmerica.org). Wow, 1 in 6 people. And there is a way that you can help, and it's actually really simple and quite easy. It's an app called FoodTweeks. So how does it work? It actually has a dual purpose. Every time you trim calories from your food choices, those calories are donated to food banks. Say what? I know. I thought the same thing when I heard about it. But basically it's really easy. 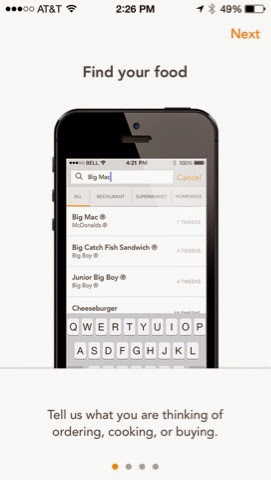 You type in the food that you going to eat. The app gives you suggestions on how to 'tweek' the calories (like a substitute or smaller portion size) and each time you 'tweek', a food bank will receive donations from FoodTweeks. You can double your donations each time you use FoodTweeks by going here http://www.foodtweeks.com/communities/moms/ and enter MOMS as the promo code. I signed up with this promo code so that my donations will be doubled. I plan to use #calories4good. This looks fantastic, I am wondering whether it will help me count carbs - since I am a diabetic I need to stay within a certain range.